About: Panjab University (PU) leads the PU LLB Exam for admission to the three years LLB Program. Established in 1882 as the University of Punjab at Lahore. Panjab University has been Accredited with a CGPA of 3.35 on a four-point scale at A Grade valid for a period of 5 years. 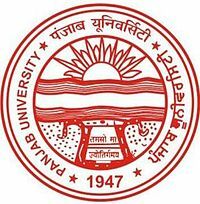 Authority: The Entrance Exam for admissions to the LLB (Bachelor of Laws) Three Year program will be organized and conducted by Panjab University, Chandigarh. Frequency: The PU LLB 2018 exam is conducted just once in a year in India offered for programs in law. Exam centres: The PU LLB 2018 Exam is conducted across 44 centres in Chandigarh. Programs: PU LLB 2018 helps candidates who are seeking admission in LLB (Bachelor of Laws) 3 years. Enrollment: There are a total of 480 seats available in 4 participating colleges. Level: It is a National level entrance exam through which students can get admission in LLB (Bachelor of Laws) 3 years integrated course. Exam Date Announced: The PU LLB 2018 exam date is 17th June 2018, announced officially by the Authority. Examination: PU LLB 2018 Exam will be conducted on 16th June 2018. PU LLB 2018 results will be announced on 26th June 2018. Age limit: There is no age limit to apply for PU LLB 2018 exam. Availability: The application form for PU LLB 2018 will be available from 15th April 2018 to 24th June 2018. Payment: Candidates can register for PU LLB 2018 by paying the PU LLB 2018 registration fee of INR 2100/- for General category candidates and INR 1050/- for SC/ST/BC category candidates which is payable by credit card/debit card only. The candidate must enter important details such as personal details, qualification details etc in order to successfully complete the application process. Availability: Candidates can download the admit card from the official website of PU LLB 2018. The admit card will be available for PU LLB 2018 from 10th June 2018. Credentials: In order to download the admit card the candidates must enter credentials such as Email ID and date of birth. Candidates are requested to carry admit card along with a valid government-issued ID to the examination hall. Mode of Exam: PU LLB 2018 Examination is the Pen-Paper based exam. The exam will be conducted in offline mode. Time Duration and Pattern: The time duration for PU LLB 2018 exam is 1 hour 30 minutes. Extra 30 minutes will be provided to those candidates who are visually handicapped, differently abled candidates. The PU LLB 2018 Exam will comprise of Multiple Choice Questions having 4 sections. Topics: Candidates must have to be prepared for syllabus of PU LLB 2018 before appearing in the examination. The syllabus of PU LLB 2018 will be based on topics like Legal Aptitude, General Awareness, Logical Reasoning, and Knowledge of English. Reference: The candidates can refer to the prescribed syllabus books in order to score more marks in the PU LLB 2018 Examination. Declaration: The result of PU LLB 2018 will be declared on 26th June 2018 at the official website of PU LLB. Credential: The Candidate should have to enter the roll number. Candidates must download and take the printout of the result and keep it safe till the admission process ends. Commencement: After the PU LLB 2018 results, Panjab University will call the selected aspirants for the counselling process from 24th July 2018. Mode & Seat Allotment: Candidates who are seeking admission to the LLB course must have to appear for counselling process for final seat allocation. Counselling will be held in Offline mode at the Departments of Laws in Punjab University Chandigarh campus. Application Form: The commencement of the online PU LLB 2018 applications submission will start on 15th April 2018. The deadline for PU LLB 2018 Online Applications is on 24th June 2018. Admit Card: The date of release of the PU LLB 2018 admit card is on 10th June 2018. Examination: The PU LLB 2018 exam date is scheduled to be on 16th June 2018. Results: The Announcement of the PU LLB 2018 Results is on 26th June 2018. Counselling: The counselling Procedure of PU LLB 2018 will start from 24th July 2018. Classes: The commencement of PU LLB classes is from 08 July, 2018. The candidate must have to fulfil the eligibility criteria before applying for PU LLB 2018 Application Form. No candidate will be allowed to take the PU LLB 2018 Exam without satisfying the basic eligibility. Those candidates who have passed/appeared in the final year of Bachelor’s degree in any faculty of the Panjab University with at least 45% of the aggregate marks (40% for SC/ST/BC candidates). The candidate who has Master’s Degree in any subject from the Panjab University will be eligible for PU LLB 2018. The Candidates who have obtained 10+2 or graduation/post graduation through open universities system directly without having any basic qualifications for prosecuting such studies are not eligible for admission in LL.B. course. The candidates can apply online for PU LLB 2018 on the official website of the University. The Application Process of PU LLB 2018 will start from 15th April 2018. The candidates can also apply by clicking on the direct link provided on the homepage of the official website. Candidates first need to register online and create a Login ID and password using ‘New candidate Registration’. The candidates should note down the Login ID and Password details. The candidates should pay the application form after registration. After Filling up personal details, the candidates should upload scanned copies of Photograph and signature as per the specified prescription. After uploading Photograph and signature, candidates should submit the application form. The application form for PU LLB and all updates about PU LLB can be availed from the official website of Panjab University, Chandigarh. Applicants need to apply online for the exam and are required to enter the details accurately as no further corrections will be entertained. The application form of PU LLB 2018 will be available from 15th April 2018 to 24th June 2018. Before proceeding for PU LLB 2018 Application Form registration, students are advised to carefully check whether they satisfied the mentioned eligibility criteria or not. Candidates have to pay the fees fee of INR 2100 for General category candidates and INR 1050 for SC/ST/BC category candidates which is payable by credit card/debit card only through online mode for PU LLB 2018 Entrance Exam. the candidate should take the printout of the application form for future references. The PU LLB 2018 Admit Card will be available in online mode and candidates will be able to download it from their PU LLB 2018 official login account. The Admit Card for Panjab University LLB 2018 Entrance Examination will be generated after the submission of PU LLB 2018 Application Form. The Admit Card will contain the Roll Number and Exam Centre details for the candidates who will be appearing in the PU LLB 2018 entrance exam. The PU LLB Roll Number Slip/Admit Card is a very important document for the candidates appearing in the PU LLB 2018 Entrance Examination. The Admit Card should be produced by the candidate at the time of PU LLB #entrance examination on demand of the invigilator and anyone who has not produced the admit card can be disqualified/deemed not eligible to attend PU LLB 2018 entrance examination. Exam mode: The PU LLB 2018 exam will be conducted Offline in pen-paper mode. Exam duration: The time duration for PU LLB 2018 exam will be 1 hour and 30 minutes. Total Marks: The PU LLB 2018 entrance examination will be of total 75 marks. Out of 75 marks, 50 marks are for multiple choice questions and 25 marks are for subjective type questions. Language: The PU LLB 2018 examination will be conducted in all the three languages i.e. English, Hindi, and Punjabi. English Comprehension: The English section will test the candidate's proficiency in English based on comprehension passages and grammar. In the comprehension section, candidates will be assessed on their understanding of the passage given, it's central theme and meanings of the words used, etc. while the grammar section will focus on correction of incorrect grammatical sentences, filling of blanks in the sentences with appropriate words, etc. General Knowledge and Current Affairs: The candidates will be assessed on their general awareness including static general knowledge. Questions will be based on current affairs. Legal Aptitude: This section is the most important one as it tests the candidate's interest towards law, problem-solving ability, research skills and such. The candidates have to assess the given statements and bring out a logical answer as the outcome. Logical Reasoning: The sole purpose of the logical reasoning section is to test the candidate's ability to identify patterns, logical links, and rectify arguments. It includes a variety of questions based on sequences, analogies, syllogisms, etc. However, visual reasoning will not be tested. The results for PU LLB 2018 will be published on 26th June 2018. The results will be available online at the Panjab University official website of PU LLB. The results will be available online only and no separate communications will be sent to any of the candidates regarding the announcement of the results. The PU LLB 2018 Results shows candidate's scores and rank secured in the LLB entrance exam of Panjab University. The results publishment will be final and there will not be any changes and no requests for re-evaluation or recounts will be taken in under any circumstances. Candidates may download a copy of the result page and keep it safe with them until the Admission process is not over. The Counselling procedure of PU LLB 2018 will start from 24th July 2018. Candidates, whose name will appear in the Merit List will be required to attend the counselling session personally as per her/his merit position on the stipulated date. The schedule for counselling will be available on the official website of the university. It is mandatory that the candidates should be physically present in the counselling. All those candidates who will attend the counselling will be required to sign an attendance sheet as a mark of their attendance. Only those candidates who will report and mark their attendance on the days of counselling shall be considered for admission in the subsequent counsellings for the filling up vacant seats. What is last the date of submission of the application form? The last date of submission of the application form is 11th June 2018. You can check here other important dates. How is PU CET different from PU BA LLB/B. Com LLB honors test? PUCET is the university level exam for UG and PG courses like Bsc, pharmacy and BHMS courses but for the law, the exam is PU LLB/PU BALLB. And also the exam is one for BALLB/BCom LLB. There is no change in the syllabus of the exam. Is there any age limit for PU LLB? There is no age limit for PU LLB. To check eligibility, click here. How many seats are available for UIL, P.U. regional Centre, Ludhiana? 60 seats are available for UIL,PU regional centre, Ludhiana. I want to know about the entrance test date of PU Chandigarh and all other information. Panjab University will conduct their prestigious entrance test, PU LLB on the 19th of June and it will be an MCQ and Subjective type test. PU LLB will be 1 hour and 30 minutes long and out of a total of 75 marks. The question paper language used for PU LLB will be in English by all means.